The Libra Full Moon reveals information about relationships. Yes, we have another Libra Full Moon, which is helping you resolve conflict and emotional wounds around relationships. It is also supporting you in finding balance by helping you speak your truth and set healthy boundaries in relationships. Each Full Moon illuminates areas of your life where you’re unaware of your behavior and emotions that hold you back for achieving and receiving more. 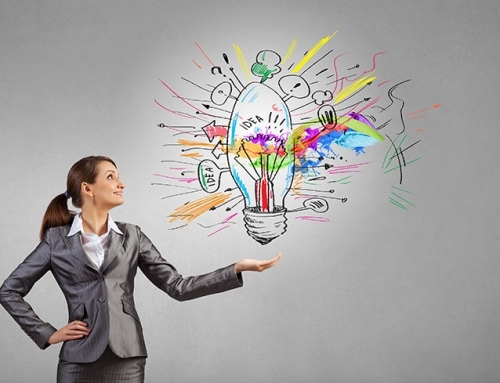 It helps you breakthrough limitations by highlighting the blind spots so you can make adjustments. This is the second Libra emphasizes endings and beginnings as it’s taking place at the last degree of Libra. When a full moon takes place at the latter degrees of a sign, it emphasizes the shadow elements. The Libra Full Moon takes place on April 19, 2019 at 7:12 am ET (4:12 am PT). Libra represents balance, fairness, justice, partnerships, harmony and equanimity needed to maintain a relationship. The 29th degree shows up in areas where maybe you’ve gone overboard and given too much of yourself away in an effort to maintain peace in a relationship. Are you seeing the inequality in any relationships? Relationships are like a dance. To be balanced there must be balance. Each partner must be willing to give and take. The full moon brings emotions to a head, helping you see imbalances and places where you’ve given or taking too much. This full moon will help restore balance. Uranus opposite of the moon is also pushing you to make radical changes where in the past you may have given in and let things slide. It’s eruptive presence can cause sudden changes, giving you a burst of courage to support your desires. Dancing is the expression of balance between power. In looking at your relationships and partnerships who is leading? Is the person an effective leader or are they using power to maintain control? There is a synergy created in a dance. Effective relationships are based upon moving towards a common goal with the highest good intended for both partners. Is that taking place for you? If not, what is missing? With the Libra and Aries axis there is a need for balance between the your personal needs (Aries), and the needs of the relationships (Libra). With this second Libra Full Moon you have the opportunity to re-evaluate relationships It’s important to validate what you’re feeling and finding places where there is inequity in power. Where are you taking power from others or they are taking your power away? Reviewing your relationships and setting helps boundaries helps you honor yourself and reclaim your power. Relationships are intended to help us grow. They often reflect fears and help you make different choices to resolve them. This Libra Full Moon is filled with karmic opportunities to resolve deep seated issues. Take note of who is triggering you. What emotions are coming up? Who do you need to forgive? Conflict gives you the opportunity to respond differently. Speak up, express how you feel and see what happens. Until you do, they don’t know what you’re thinking or feeling. Use these journal prompts to help you identify imbalances and have direction towards your emotional healing. The airy Libra energy is helping you attune to your personal needs and how you relate to others. To learn how this full moon specifically affects you, pull your astrology birth chart with “transits” to see what House Libra is falling in for you. This will provide insight into how to navigate this full moon. To enhance your healing, Neptune (dreaming) is moving through Pisces is helping you dream a new reality. It’s giving new perspective about yourself and your spiritual practice. Neptune is the planet of the spiritual growth, observation, daydreaming, and fantasy. It brings to light areas of your life that you may need to dream bigger, and fantasize about the life you really want to create. With Neptune in Pisces there may be questions related to the spiritual programming you were raised with, and letting go of anything that no longer serves you. It’s helping you align with Universal truth. Mercury, Venus, and Chiron are all (or just about) in Aries helping you communicate what you value and love. These planets are all helping you honor and value yourself first so you create healthy relationships. Review your birth chart with transits to see where these planets are influencing you. It will provide insight into the direction you’re moving, making transitions easier. 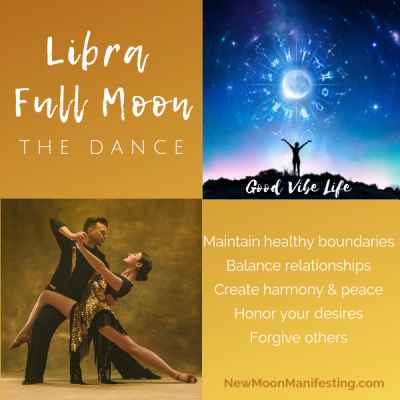 What will you do Release with the Libra Full Moon? What parts of yourself will you Reclaim?